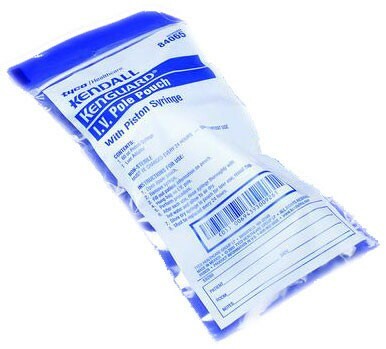 IV Pole Pouch Kit with 60cc Syringe *Special order item, non returnable and 2-3 week delivery. IV Pole Pouch Kit with 60 cc Syringe *Special order item, non returnable and 2-3 week delivery. The KANGAROO and KENGUARD I.V. 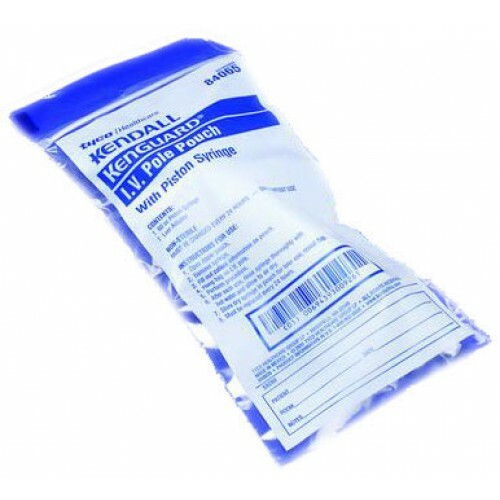 Pole Pouch provide a safe and convenient means of storing syringes used with enteral feeding and irrigation systems. The transparent polyethylene bag hangs easily from an I.V. Pole and is clearly labeled to ensure proper use. The bag is quickly opened with the easy-to-use tear-to-open design that has a re-sealable flap that protects the syringe contents inside. All products come with a luer adapter to ensure proper attachment to enteral feeding and irrigation systems. Non-sterile.